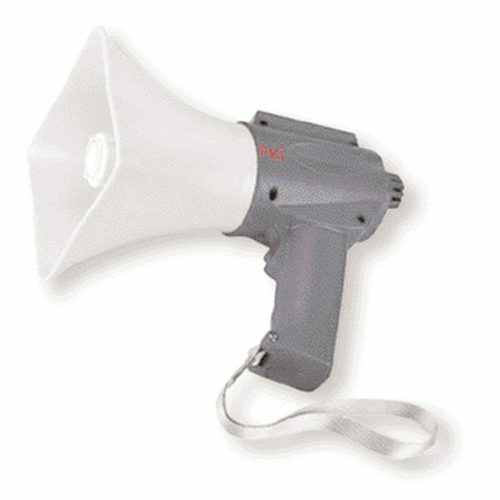 There are different types of megaphones. The PKI 9345 megaphone is so remarkable, as it offers a recording function i.e. the message which is to be transmitted can be stored beforehand. Common direct announcements, of course, are also possible. Its small dimensions and light weight are ideal for everywhere use, especially due to comfortable handle grip and bearing loop. Furthermore it can be used either with standard or rechargeable batteries.